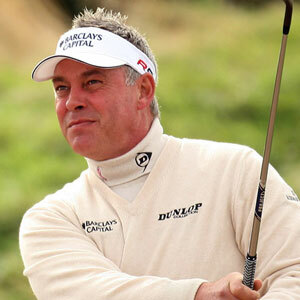 Darren Clarke has emerged as odds-on favourite to succeed Paul McGinley and move into the Ryder Cup hot seat, although he will have to wait until at least next month to officially get the nod. As has become somewhat traditional in recent times, the European Tour was expected to name its captain during the aptly-named “Desert Swing” – a three-week run of events in the Gulf which begin at next week’s Abu Dhabi. However, because of the new selection process announced in August 2013, the decision has been pushed back. A Tournament Committee meeting is scheduled to take place at the Qatar Masters in two weeks’ time, but while a number of Ryder Cup “qualification and commercial” issues will be discussed, the identity of Paul McGinley’s successor is in the hands of a five-man panel. The reason for removing the choice of captain from the 15-man committee stems from all the unseemly publicity generated two years ago, in which McGinley was pitted first against Clarke and then against Colin Montgomerie. This time there is expected to be no public ruckus. It has also been suggested that the Tour was looking to gather a selection panel – comprising the last three European Ryder Cup captains, the Tour’s chief executive and one member of the Tournament Committee – to be nominated by the committee to name a new man in January. But, although McGinley, José María Olazábal, George O’Grady and David Howell will be in Qatar, Montgomerie is in America this month, which puts paid to that idea. Montgomerie could of course have simply picked up the phone and joined in via conference call, where the whole panel could discuss their decision, but the overriding feeling was that all members of the panel should be present in one room with no distractions. Should this plan be utilised, the earliest date for the meeting would likely be mid-February, with the official unveiling to be staged at Wentworth soon afterwards. It would be a big surprise if Darren Clarke does not become the second Irishman in as many matches to lead Team Europe, although as of right now nothing is set in stone. Miguel Ángel Jiménez has been hotly-tipped by some as a strong candidate, while Thomas Bjorn was also originally considered as a good team player who could work his magic on the team in blue and gold. Of course both players have since spoken of their respective desires to qualify for Hazeltine, Minnesota, so that potentially rules them out of contention. Bjorn especially has made no secret of the fact he intends to play a part in the next Ryder Cup after his performance at Gleneagles, while 51-year-old Jimenez also fancies himself as having another showing in him against the USA. Jimenez was recently asked by Tengolf, a Spanish website, about the 2016 captaincy, to which his reply appeared on the Telegraph website saying: “I see myself in the mix. But what happens is that if you dedicate yourself to being captain your game is possibly going to deteriorate because there is so much to do. And I want to compete. So I do [want to be captain] and I don't..."
In stark contrast to Jimenez, is has been Clarke’s unambiguous ambitions which has seen him rocket to the top of the pile for the captaincy. “I would love to be captain at Hazeltine - it would be a huge honour,” he said. And Clarke has also received priceless backing from his fellow pros, with Rory McIlroy, Lee Westwood, Ian Poulter, Justin Rose, Graeme McDowell and Sergio Garcia all showing varying degrees of preference for the outspoken Irishman. Of course, as with anything, there’s usually a stumbling block, and Clarke has rubbed more than a few players up the wrong way in his career. His relationship with McGinley, for example, is perhaps the biggest blockade for Clarke. Back in the days when both men were still cutting their teeth as Tour wannabes, the pair shared a room and even became neighbours in Sunningdale. But as with most things in life, the two grew apart and McGinley was said to have felt betrayed by his former friend when Clarke apparently threw his hat into the ring for the Gleneagles captaincy after allegedly promising he would not do so. Eventually Clarke pulled out and later spoke publicly of Europe’s need for “a big character” to front up against Tom Watson. In the end, though, it was some heartfelt support from McIlroy in the days leading up to the Tournament Committee’s vote which won McGinley the role he had craved for so long. He has since gone down in history as one of the best captain’s to lead Team Europe. Whether it be Clarke, Bjorn or Jimenez, one thing looks certain: the Ryder Cup is going to have its hands full with this much character packing into Hazeltine in 2016.
Who do you want to see leading Team Europe into battle in 2016? Share your thoughts are feelings with the American Golf community below.